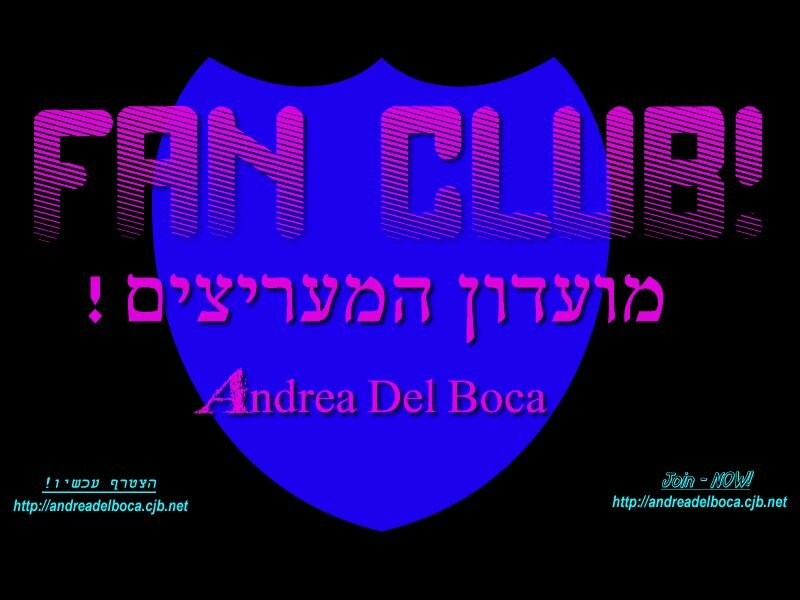 Andrea Del Boca's FanClub is OPEN! Here, only members are allowed to enter! What can I find in the club? OK, let's start with a new skin for winamp. Let's continue with a date board of Andrea Del Boca. The special Wallpaper of the "FanClub!" - Download. that's all for now... have any suggestions?, E-mail them!